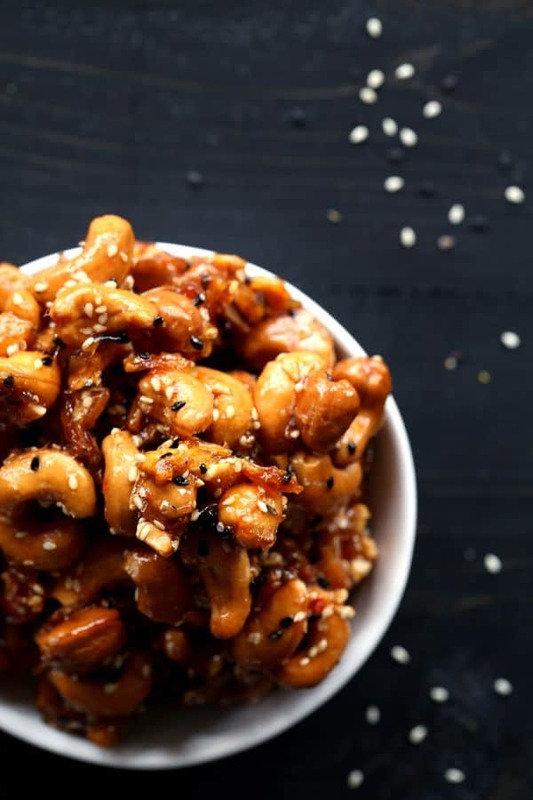 These six ingredient Thai Glazed Cashews take just 10 minutes to prepare and are sure to disappear just as quickly! 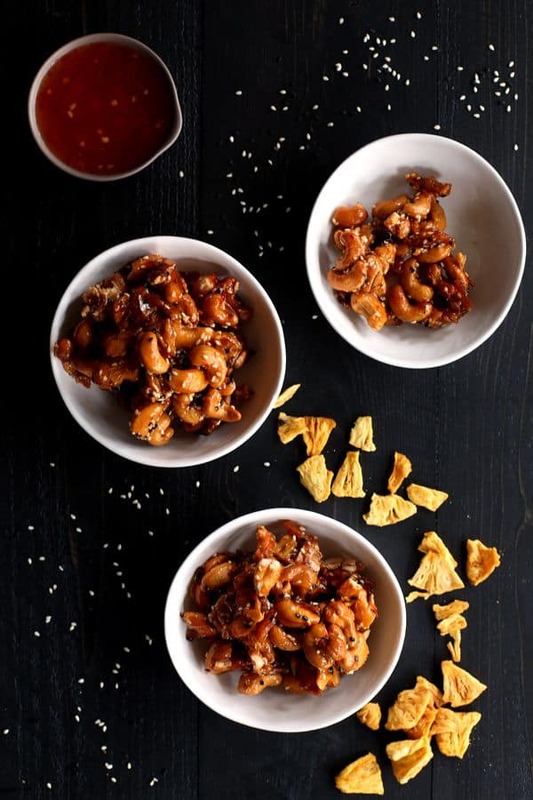 The perfect contrast of sweet and spicy, chewy and crunchy. A copycat recipe of one of my favorite snacks. Unlike a lot of people, I actually enjoy going to the grocery store. Granted, it’s more enjoyable if I just have one or two of my children with me than all four, but it’s still something I enjoy rather than dread. 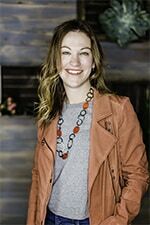 I love to go early in the morning after school drop-off, grab a big iced tea from Starbucks and get to work checking things off of my weekly list. The best part? Discovering new products and tossing them in my cart with reckless abandon. I’m wild and crazy like that, friends. 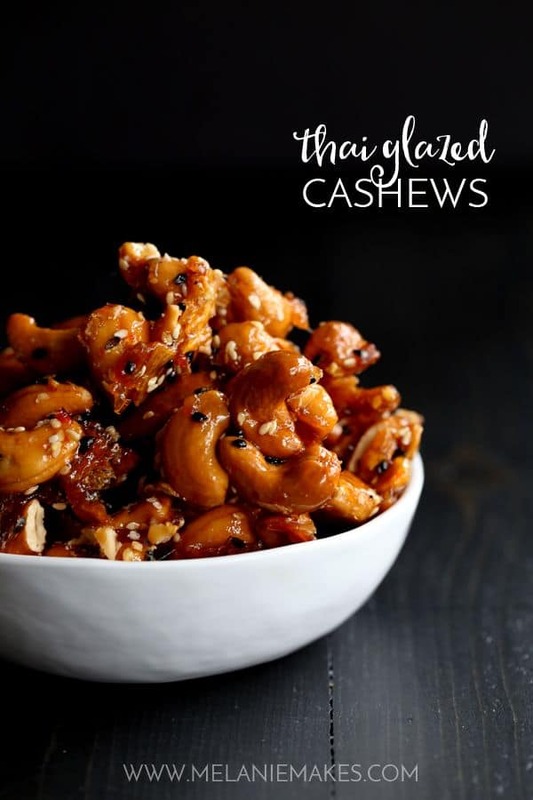 One of my favorite recent finds is a mix of thai glazed cashews. Cashews are my absolute favorite and I’m a fan of anything with some heat. They’re absolutely addictive and I find myself eating them any time of day. I’ve even eaten them for breakfast. So of course when my friends at Robert Rothschild Farm sent me a bottle of their Thai Sweet Chili Sauce to work with, my mind immediately turned to creating my own copycat recipe. This Thai Sweet Chili Sauce has a special twist as it includes Peppadew® peppers, a sweet pepper grown in South Africa. Sweet yet tangy, with just a hint of sea salt, it was the perfect choice for these Thai Glazed Cashews. This six ingredient snack couldn’t be easier. 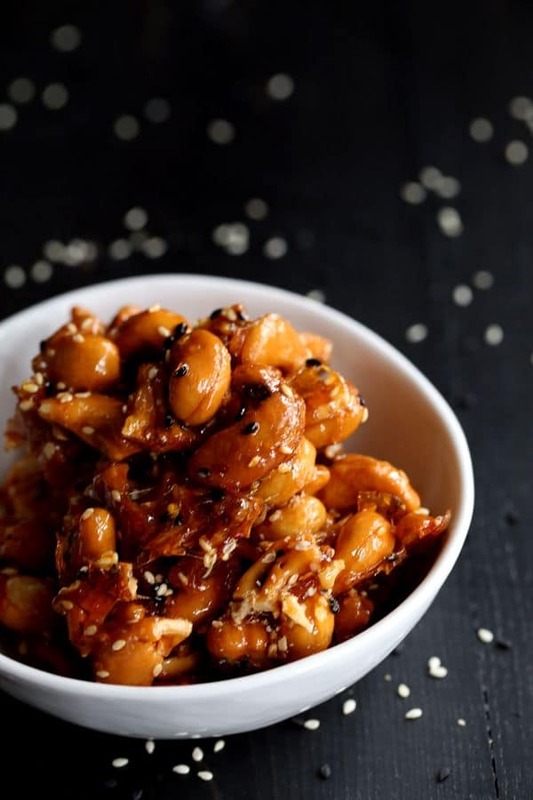 The Thai Sweet Chili Sauce, dried pineapple, sesame seeds, cashews, sugar and ponzu sauce (a citrus based sauce found in the Asian product aisle at your supermarket) are added to a pot and brought to a boil before taking a quick trip into the oven. I then dare you to keep your hands out of the mixture until it completely cools. I may or may not have burned my fingers stealing a few from the pan because patience is definitely not my virtue. In a medium-sized pot over medium-high heat, add all ingredients and bring to a boil and allow to bubble for one minute. Reduce heat to low and allow to simmer until liquid almost disappears. Pour nut mixture onto parchment lined baking sheet and bake for 20 minutes, stirring mixture once halfway during baking time. Remove from oven and allow nuts to cool completely before breaking apart and storing in air tight container. For better or for worse, I can now have my new favorite Thai Glazed Cashews any time I’d like in less time that it would take me to make a trip to the grocery store. I’m thinking they’d also make a great gift packaged up pretty in a jar for friends or neighbors. 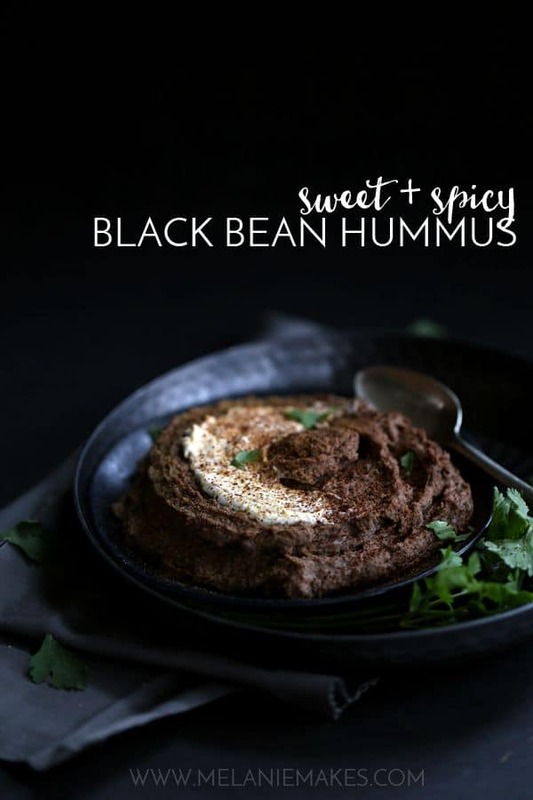 Looking for more great snack and appetizer ideas? I made the cashews and they ended up a bit gooey. 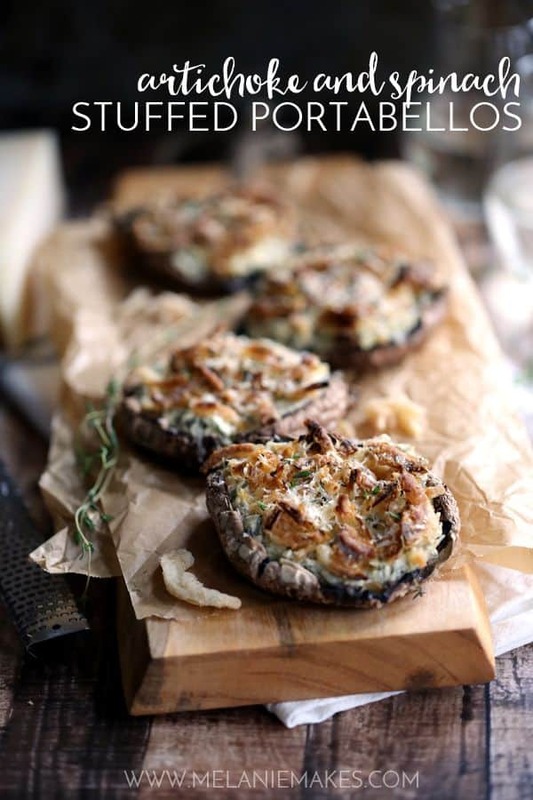 I cooked them down until there was almost nothing left in the pan ad then baked them. Even after being in the refrigerator overnight, they were not hard and crunchy. Any ideas? Hi, Paul - You definitely don't want to put them in the fridge! These will have a bit of pull to them from the syrup mixture but shouldn't be gooey. Putting them in the fridge will definitely cause them to lose their crunch. I could get into some serious trouble with these cashews. That glaze looks spot on!! Delicious! So glad I'm not the only one, Cyndi! What a fabulous idea. I also love some heat...can't wait to give these a try! Thanks so much, Sandi - let me know if you give them a try! This look ADDICTING! I don't think I could have just one. The whole batch would be gone before they were served. So glad I'm not the only one with little self control, Michelle! Normally I don't like going to the grocery store, unless it's a trip to Whole Foods or Trader Joe's. I could linger in those two stores for hours. And I buy all sorts of new and exciting stuff! 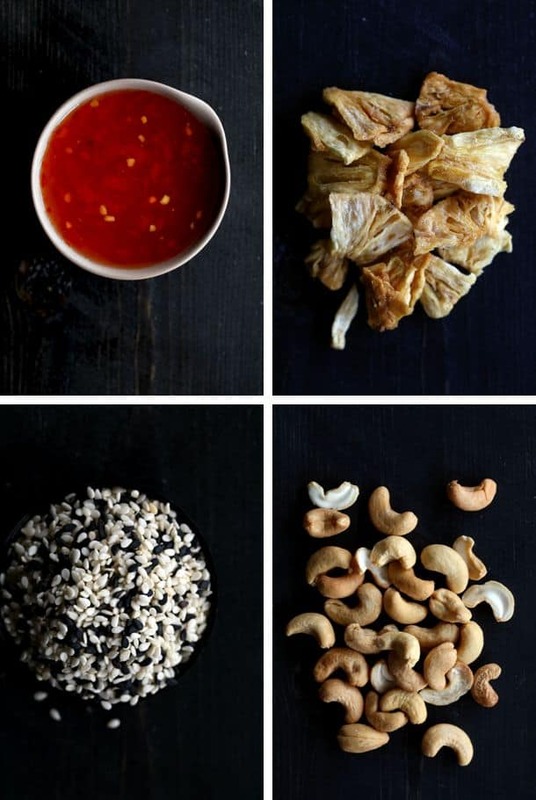 :)Your cashews look wonderful, and so easy too! I'm definitely with you, Michelle! 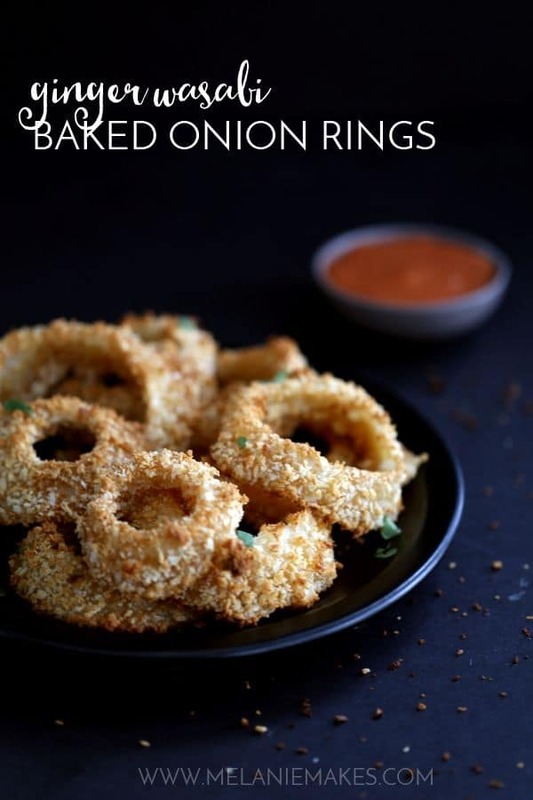 These sound so good, I would snack on them all day long! And even better that they are a great source of protein, Katalina! Yes, early in the morning is my favorite, Maryanne! Grocery shopping with 4 kids sounds like... not my cup of tea. ;) It's awesome that you don't mind it! I don't even like going with my husband. :D These cashews look perfect!